Arctic star solar PV network news: National Energy Council recently released 2016 1th, announcement, according to national energy Council on issued < energy field industry standardization management approach (pilot) > and the implementation rules of notification (country can Council technology 52,) about provides, by review, National Energy Council approved nuclear power plant conventional island and the auxiliary supporting facilities construction construction technology specification 5th Department points: water treatment and the business hydrogen system, 345 items industry standard, which energy standard (NB) 54 items, and Electricity standards (DL) 125 and the oil and gas standards (SY) 166. The released of industry standard directory in the PV power and the light hot power impressively in column, which contains PV power engineering design estimates prepared provides and the costs standard, and light hot power engineering security acceptance evaluation procedures and light hot power engineering security pre evaluation procedures (following referred to procedures), this three items procedures Yu this year January 7 by approved, will Yu this year June 1 began implementation. Polaris solar PV net news: guaranteeing the purchasing management of the renewable energy power generation in full release was excited by renewable energy industry. This system with Chinese characteristics, its intricate game behind. Not only gamers power grid enterprises and renewable energy operators, including fossil fuel and non-fossil energy, energy management and finance departments, local governments and State departments, the Department of energy agencies and between local authorities, national development and Reform Commission and the Department of energy, and so on. Late last year, the renewable energy sources of full protection of acquisition management (draft for soliciting opinions) issued, compared with official documents, draft for comment a substantial correction. More like wishful thinking set (new energy grid), while the latter is a compromise with annex conditions. The end result is that new energy projects have priority power grid scheduling, but must meet a set of conditions and requirements. This includes: renewable energy projects must be in line with national planning, obtaining administrative permits, after filing and meet network standards, must be the premise of power system security and stability must be based on grid maximal absorptive capacity for the bottom line, renewable power grid Enterprise determined can also be predicted curves, you need the energy agencies and provincial departments following implementation of the implementing regulations. Contrast down, two documents different subjects on the development of renewable energy renewable energy exactly what policy support is required? National policy and how to walk away from renewable energy? Renewable energy development is the scale of a ceiling should be imposed? How to balance among the different stakeholders? Original title: renewable energy in full protection “Metamorphosis” exposure draft to be “the knife”? Polaris solar PV net news: entering in late March, the a-share listed companies began intensive of year 2015 report. Recently, the Baoan real estate release annual reports, company revenue 1.666 billion yuan by 2015, rose 60.7% and net profits of 62.0496 million Yuan, and rose 16.7%. Basic earnings per share was 0.13 Yuan. On the secondary market, as of market close on March 29, in the case of market weakness of the overall market, Bao an estate at 11.17 Yuan per share, bucked up 0.72%. The reason for higher performance, Baoan Estate said in the annual report, the company’s real estate business during the reporting period a large increase in profitability. Bao ‘ an estate for 2015 is a landmark year in the history of the company, the company completed the ownership structure adjustment, Dong Xu group become the controlling shareholder of the company. Meanwhile, Dong Xu new energy investment limited acquired 100% shares of the company, Dong Xu photovoltaic business segments of the group to undertake. On October 26, 2015, Baoan District Real Estate Board considered by large shareholders of the acquired company Dong Xu Dong Xu new Energy Corp asset resolution, along with the non-public offering plans, raise no more than 9.5 billion yuan investment in building capacity for PV 1.15GW. Baoan real estate said that with the implementation of PV power, real estate and company formed a new layout of new energy dual business operations, to create a new profit growth point. After only six months on March 23 this year, Baoan real estate private equity Committee made by the application of the SFC approval, assists the company’s rapid development in the field of photovoltaic. In addition to this offering vote project 1.15GW involved in PV power plant project, Baoan estate follow-up will be developed provinces and cities and reserves of various types of PV power station project, involving ground centralized, distributed and many other types of distributed, the roof on the ground. “Solar PV is the most promising clean energy, in addition to cleaner and renewable properties, PV also has obvious advantage compared to other new sources of energy. “Big Wang Wenxiang said the Fund, under the national policy support, optimistic about investment prospects of downstream power station operators and related equipment manufacturers. In recent years, the regulatory agencies to improve advance cash dividends of listed companies rewarded investors, increasing cash dividends in a number of listed companies in the distribution plan. 2015 distribution released Baoan, according to real estate show: companies take distribute cash dividends on profits that year, to December 31, 2015, the total share capital of the company as the base, proposed every 10 shares to distribute cash dividends to all shareholders of 0.1 Yuan (including tax), bonus stocks 0 shares, not a provident fund be converted into equity. Prior to this, from 2011 to 2014, Baoan property has generous dividends for 4 years, the cumulative dividends reached 51.6553 million Yuan. As for the future, Baoan property that, in the short term, corporate real estate and solar PV power plant business independently, establish the business competitive advantage product, exploring the integration of photovoltaic business and real estate business. More important of is, company will active development solar PV power business, and in fast construction and holds more mass of PV power station of based Shang, based domestic PV power market, through integration industry Shang downstream industry chain, active layout set project development, and project financing, business for one of service provides platform and a station type solution programme, is committed to build became global leading of green energy integrated service provides business. Polaris solar PV net news: on March 16, the United Kingdom Chancellor of the Exchequer George. Osborne (GeorgeOsborne) announced that its 2016 budget, clean energy terms which can be described as ice fire days. By 2020, United Kingdom Government will continue to adhere to contracts for difference (Contract-for-Difference, hereinafter CfD) tenders, grant of £ 730 million subsidies for offshore wind power and other “less developed” technology. But because the United Kingdom Conservative party launch fuel tax of oil and gas, as well as its small modular nuclear reactors (SMRs) support, onshore wind power and photovoltaic projects in the future are still hard to get support from the Government. Good thing is, United Kingdom in 2016 fiscal budget, the Government indicated in part on renewable, power as high as 4GW tenders will be conducted to support the Pot2 project tender value of 290 million pounds in the first round. Last November, the United Kingdom Secretary of State for energy Ambre. Ladd (AmberRudd) signal, the first round of bidding will be held at the end of 2016. But if all subsidies will be allocated to offshore wind power projects, given the existence of capacity ceiling, by 2026, 12GW only one-third in the current building plans can support. In addition, because there are no time-specific information, companies in the supply chain it is difficult to plan ahead. We can be found in the wording of this budget, if the final price is lower than the real price and savings subsidies may not be reallocated to more than 4GW of new capacity, the large level GW offshore wind project is by no means good news. By contrast, the United Kingdom Government budget for 3 of the CfD at present auction can override the Vattenfall company 3.8GW projects announced this week, will hardly leave space for other items. The next 10 years, United Kingdom Government will take a more aggressive approach to develop offshore wind project’s target price. Past, the United Kingdom Government had issued £ 100 net price of/MWh, but the new budget on March 16 in a project will be put into operation in 2026 price £ 85/MWh (2011), provisional pricing for the next round of auctions for £ 105/MWh. In contrast, the new price of £ 85/MWh 29% lower than the CfD in the first round, the highest price in the auction. However, we are more optimistic that wind power generation costs will decline further. According to our analysis, on price levels in 2011, we believe that the service will begin within the next 10 years of projects an average cost of £ 66/MWh, and cost £ 69/MWh (example, in 23 years of service, average cost is £ 85/MWh). United Kingdom Government did not show that the onshore wind, solar and other renewable energy projects can be involved in a future CfD bid. Although “no subsidy” onshore wind power CfD discussion there has been sold at auction, but there is no consensus. According to our latest wind turbine market (WindMarket Outlook), by 2020, the United Kingdom onshore wind project’s annual capacity will be dropped from this year’s 1.7GW to 180MW. In addition, United Kingdom energy bill (Energy Bill 2015-16) has passed third reading in the House on March 14 this year (thirdreading), and United Kingdom onshore wind power and photovoltaic projects, renewable energy obligations Act (RenewablesObligation) will expire on March 31 in just 17 days, at which time the Bill will be automatically terminated. United Kingdom Government’s next move may be after some controversy, because the House of Lords must refer to amendments in the House, and after the premature closing of the previous House of Lords vetoed the Bill in the House, are once again premature closing of the proposed amended provisions of the Act. If the expiry date of the Bill can be slightly slower, this will be cut off on April 1 this year, 650MW of onshore wind projects would have good luck in the Centre. According to 2016 budget statement, carbon emissions (Carbon Reduction Commitment), through mandatory reporting and pricing mechanisms, improve the energy efficiency of large organizations, public or private, but at the same time with bureaucracy, and the heavy burden on the Government’s commitment will be abolished completely. To compensate, United Kingdom tax from 2019 to climate change (Climate Change Levy). However, both of these changes will not bring much to the field of renewable energy. The oil and gas industry can benefit from tax relief came into effect in January this year. In particular, the current income tax rate in 35% oil (Petroleum Revenue Tax) will be abolished, while another oil and gas companies must pay additional supplementary fee (Supplementary Charge) rate would be halved to 10%. Polaris solar PV net news: Prime Minister of Australia Mr Turnbull (Malcom Turnbull) recently announced that Australia will set up a total of $ 1 billion in clean energy Innovation Fund (Clean Energy Innovation Fund) to accelerate the pace of commercialization of emerging clean energy technologies. This trust fund was established to promote not only technological innovation, create more jobs, while public investment also brings economic benefits. ACB News the Australia China business online reported, it is learned that clean energy innovation fund will be administered by the Australian clean energy Finance Corporation (CEFC) and renewable energies (ARENA) common management, providing debt and equity financing for clean energy projects, the Fund will be spending allocation from the CEFC’s 10 billion Australian dollars. Turnbull said in a statement, Australia clean-energy market matures, but clean energy projects at an early stage, it is difficult to grow to sufficient size to attract private equity investment. Clean energy innovation fund is to fill the investment gap for these early projects. Most importantly, clean energy innovation fund will benefit the Australian energy sector to improve productivity, develop new technologies, and helping Australia achieve by 2030 26-28% greenhouse gas emissions reduction goals. Market watchers said that early-stage clean energy projects often lack the money and long-term investment prospects are uncertain in the current carbon-trading market circumstances, chosen by the Australian Government to invest in clean areas is a reasonable decision. Australian Government has suggested that the clean-energy innovation fund will aim with a storage capacity of large-scale solar power stations, offshore areas such as wind power, bio-fuels and the smart grid. Institute for public policy think tank in Australia kugelatan (Grattan Institute) energy expert Tony &dot; wood (Tony Wood) pointed out that the Australian Government selected by CEFC ARENA and two new fund management is a ground-breaking initiative. CEFC modelled on prototype is a United Kingdom Green Investment Bank, but at the time of formation of the Government did not consider country differences, lack of explicit functions, and unable to fully assess the return on investment, investment activity has been at risk of the CEFC. Currently CEFC mixed investment projects, on the one hand, repeated investment in similar projects is inefficient use of public funds, on the underwriting Australia national institutions such as the Bank launched green investment bonds can be changed to address market failures. ARENA, the basic function of the Agency is to provide renewable energy projects earlier research and development grants, and return on investment required. New Fund to be the biofuel and areas such as Smart grids are not within the scope of functions of the ARENA. After the establishment of clean energy innovation fund, the Government will on the one hand by removing the ARENA early research and development capital investment for energy, to save money and away from the higher-risk investments, on the other hand the new Fund to accept a lower return on investment mean aim CEFC invest in riskier areas of scientific and technological innovation. Wood on the prospects of the new Fund. In his view, low-emission and renewable energy investments in the areas of return should be driven by price, and that price should be determined directly or indirectly by climate change policy. Just 2012-2014 and Australia is not subject to relevant regulations, and the launch of the emissions reduction fund has yet to fill in the blanks. In addition, political uncertainties on the Australian investments in the renewable energy target scheme an impediment. Some preferential policies, such as solar roofing price subsidies in State, cost is very large, but with little success. Wood and to scrap the ARENA does not provide a return on investment and additional funding questioned the decision. In his view, although ARENA development project funded by risk, but success can significantly reduce the cost of clean energy production. The contrary, the Government stressed in a statement that solar power storage systems, not only Australia’s solar flagship program (Solar Flagship Program), the research and development of the technology had not been successful, the technology in the world, progress was slow. Clean energy innovation fund looking to invest in this technology returns expected more difficult. Wood says that the Australian Government will use public funds, by addressing market failures to promote innovation in low-emission technologies or the excessive pursuit of saving money, eventually leading to funding opportunities “double loss”, remains to be seen. Polaris solar PV net news: 29th, Shanghai Pudong Development Bank earlier this year after a successful financial bonds issued within first 20 billion green, continue through the Green financial bonds issued the second part of 15 billion yuan. According to reports, the Green financial bonds issued in book-keeping documentation open, 5-year period, the audience more than 1.5 times subscribed, final coupon for 3.2%, spreads on comparable policy financial bonds only about 17 basis points. The relevant person in charge, Shanghai Pudong Development Bank financial bonds is in the regulatory approval of the Green’s second issue 50 billion total. Meanwhile, raise money for standard project management and ensure that earmarked funds for use in green industries, Shanghai Pudong Development Bank set up a special fund-raising management, standards for green projects, green project decision-making procedures are standardized, and strengthen the management of green finance bonds to raise funds. Meanwhile, to meet the requirements of the green-credit project assets supporting the appropriate incentives and better promoting the development of green finance. Shanghai Pudong Development Bank said the issued 15 billion yuan would further strengthen spdb service economy and the ability to support the green industry, Shanghai Pudong Development Bank will also continue to drive the green business, green finance business, green and low-carbon power enterprise strategic transformation and development, promote economic restructuring and upgrading of the industrial structure. According to reports, the Shanghai Pudong Development Bank down 20 billion financial bonds to raise funds to green accounts since delivery in good conditions, items in high demand. By the end of February Release nearly half of green industry support effect has been well reflected. Officials said the launch project types covering the list of green bonds support projects in the six categories, including energy conservation, pollution prevention, resource conservation and recycling areas significant to people’s livelihood projects, with major environmental protection projects account for a large proportion of social influence. Except traditional of hydropower, and wind electric, clean energy project, thermoelectric cogeneration, and green building, energy-saving project, garbage burning, and sewage processing, pollution control project, resources cycle using project, track traffic, and new energy car, green traffic project outside, Pu sent Bank also support has a traffic field Internet application, and ecological repair, advanced technology, and green technology, effective of promoted economic structure transformation upgrade and economic development way of change. Shanghai Pudong Development Bank said that follow-up will continue to green credit, and the lines of the remaining 15 billion yuan of market timing issue, and continue to strengthen the issuance of green bonds support projects and the environmental effects of the implementation of follow-up assessment, disclosure and periodic public disclosure of the use of funds raised, and contribute to green to build healthy, orderly financial markets. LG Optimus g Pro is now owned by LG latest flagship machine, its 1080P with 5.5-inch screen, the first use of mycophenolate mofetil 600 processor 13 million pixels and is equipped with the popular focus cameras can make. So what are the concrete manifestation of this camera, can wash “perpetual LG SD lens” stigma? Well, the whole interface is. Settings button there is some common shooting settings. Worthy of mention is the first selection of the project, you can edit the shortcuts displayed on the far left. Entire shoot interface sets the Samsung have a strong style. The night scene shooting mode was not here, unfortunately. There’s an option to open dual camera. Open before and after will be able to use the camera and shoot the feature, press box front-facing camera can control the size of the box front-facing camera. Panoramic VR is similar to Android 4.2 that 360-degree panoramic view of that. This panoramic stitching effect is very poor, however, flashy. Depending on it’s almost done, and then there is proof. Without metering modes to choose from, only the matrix metering. But shocked the small series is that matrix metering is also pretty good for this camera, metering of all parts are more balanced, not underexposing or exposure had been. Of course also need to rely on their own “manual” adjust the exposure, if you make the sky parts occupy more of the screen, then the following buildings will become very dark, if more building occupies the entire screen, part of the sky becomes brighter. So on the viewing angle, you adjust it. However this metering results have been pretty satisfied, small series of contact with other phones, matrix metering has not been satisfactory. Xiaobian also shot a lot of proofs of the day. You may be thinking, scenario above, open the HDR is not solved? Yes, small also thought so at that time, and then they find that they are too stupid too naïve. HDR turned on. Well … … No transform, small would not believe … … Run forward and then take a picture. HDR open … … Don’t do this! Make less effort. This is likely is the version of the problem, in the hope that after the system update to improve this problem. Contacted LG machine, you should know its sharpness has been very poor. Xiaobian there is a separate release. This picture was shot by LG proofs. Small standing in the same place using the alpha i9300 proofs taken. As a comparison, circled the skies suddenly clear … … The fickle weather. Is also a comparison of the two images, click to enlarge. LG proofs also have more serious painting, building fonts has been applied almost on level, whereas i9300 remained a better sense of depth. But we can see from the above two proofs, LG matrix metering is really good, Samsung is also used by matrix metering, the same weather conditions, LG Optimus g Pro meter will be better. Small series does not say anything, said only one word: “macro is very good” would be sufficient. Background blur is very soft, very good! But color does Red overflow … … Left for the LG Optimus g Pro shot right i9300 shooting. Physical color prefer i9300. But in proofs, we can also see that LG Optimus g Pro macro ability is better than i9300, and relatively large aperture and shallow depth of field than i9300. If you want the light ring and an understanding of the relationship between the depth of field, you can go to the popular science: the effect of aperture on depth of this article see. Note: the small version of this system it’s impossible to use night mode, using night mode the screen card not move. In view of its open not open with the same HDR effect, so the night is basically using the normal mode. Auto-ISO shooting at night, behind the 1.8EV refers to open the exposure compensation. Effect of small series was trying to give it a try, but found that the effect is also a variable with no adjustable … … Really do not know if this version has problems. LG Optimus g Pro can open up to ISO 800, so the brightest is done, turn on auto ISO up to 800 ISO. Limit ISO to 100 proof. After adjusting to the 400 feel enough. Transferred to 800 while very bright, but the noise was too much. But if it is too lazy to adjust … … Then let auto-ISO, anyway it was night so. Two of the most classic scenes, auto-ISO shooting, um … … The night it was very general. In focus mode, and in other rare manual focus function on a mobile phone. After the opening, there will be a control to adjust the focus on the bottom, tuned to the far left is a macro, vision is the most right. Attention focus bar is adjusted to the macro side, so the nearest beer bottle can Coke. Small series to pull it to the right so that you can adjust the focus distance. Further on millet 2A can be burnt. This function is particularly useful when shooting macro, because a lot of times shooting macro directly to focus on using the AF is not easy. When you use manual focus, this won’t happen, you can adjust the focus according to your favorite. For example, by adjusting the focus, in the rain behind the glass, shot outside Dim night lighting scene. Proofs done well during the day, matrix metering works well. But the sharpness is really weak, and painting is more serious. As for the HDR effect, open not open, it is not clear whether the system version of the problem. Macro ability is very strong, supermacro is close, and the blur effect is very soft, color red of course overflow the most serious. At night, too. And open when night mode is stuck in the footage, so there’s no clear night scene mode proofs will be improved, but now doesn’t work as well. However LG Optimus g Pro results is small, LG mobile phone to show the best, compared to the small series of evaluation of the Nexus is tested before were said to have been a lot better. Millet Note Hat indeed stronger than other phones with the same processor performance, as to whether the legend of “Xiao long version V2.1 810″ played a role, we have no idea, but there is no doubt that it does have a lot of advantages in kernel optimization. 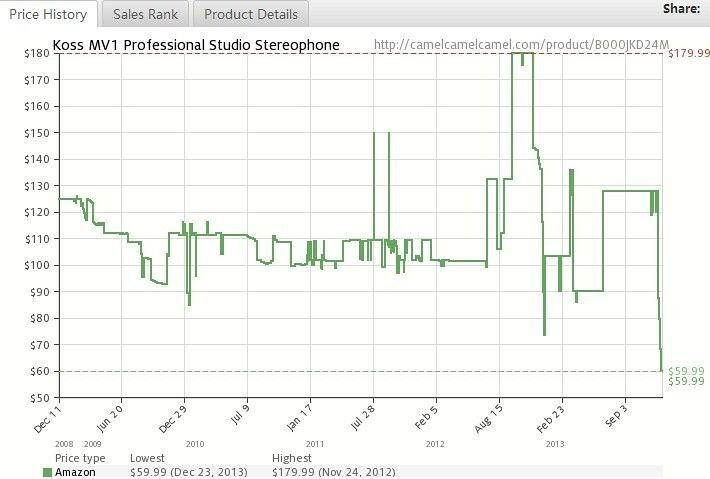 Millet Note Hat voices to remain consistent and Standard Edition, but more on the transient performance of sound excellent. In addition, the hat to dive at low frequencies also will feel in place, also has some strengthening of sound field. Polaris solar PV net news: global energy of the Internet by the strategic concept to the practice floor, causing the energy sector on the smart grid, UHV power grid, clean energy and other fields of attention. On global warming, the gradual depletion of fossil fuels under the pressing reality of people new ways to explore more efficient and clean use of energy. Lies in the equatorial region is extremely rich in solar resources, rational development, scientific distribution and efficient use will be on the restructuring of the global energy structure, promoting economic growth, promoting sustainable development of the world to have a significant impact. So, how much solar Equatorial resources? Selected solar base where? Solar energy can be transported to any place of the Equator? This excerpt of the State power grid company Equatorial solar research and development report released recently, for all detail. 1. question: how much solar energy resource stored in the equatorial region? A: the Equatorial area focused on solar energy technology exploitation amount totals approximately 936000TWh/a. Solar energy is the largest and most widely distributed global resources of clean energy, and develops only five out of 10,000 of the theoretical potential to meet global energy demands. North Africa, East Africa, Middle East, Australia, Equatorial (± 30 ° latitude range and surrounding) area is the richest solar resources in the world, resources accounted for more than 30% per cent of the global total. Low latitude of the equator, the Sun, scattered small parts of radiation intensity more than 2,400-kilowatt years &dot; kWh/m, power hour Eastern load centers more than 1 time times higher than that of China. The Equatorial solar energy category mainly includes North Africa, East Africa, and South Africa, West Asia, Australia, South America, vast areas of the West, radiation intensity in 2,100-kilowatt years &dot; kWh/m and above, low population density, available area, and development potential, are the focus of global solar energy base development area. Equatorial area focused on solar energy technology exploitation amount totals approximately 936000TWh/a. 2. question: Equator, solar energy development, the time is ripe yet? A: the current, solar power technology and economy of significantly improving, global solar installed capacity growth is accelerating. Equator, solar energy development, technology based and demand based. In recent years, the economy significantly improved solar power technology. Since 2010, investment levels have dropped 70% solar power units. The next 5-10 year, solar power will cost with fossil fuels or even lower. To reduce global carbon emissions target, 2050 global solar power is expected to generate around 35%, becoming one of the dominant energy. Since 2000, the global solar power capacity grew quickly, with an average annual growth rate reached 46.9%, ranks first in the various types of renewable energy. By the end of 2014, global solar power installed capacity reached 180 million kW, are mainly located in Germany, China, Japan and the United States, and Italy and other equatorial countries other than, about 94.7%. Solar energy development in the equatorial region smaller, generation capacity accounted for 5.3%. Great potential for solar energy development in the equatorial region of the future. 3. q: Equatorial areas suitable for building solar-powered base? Answer: according to the report, North Africa, South Asia, North America, South America and West of Australia, are more suitable for development and construction of solar-powered base. Selection principle of the solar Base: climate-appropriate, available, close to major transmission channel, good infrastructure. Researchers say that, combined with the solar resource assessment results from all continents, short and medium term recommendations developed tropical desert climate regions of large solar plants, as North Africa solar base, Western Asia Solar base, solar-powered base on the West side of South America and Australia solar energy base. In consideration of the difficulty of construction and operation and maintenance, this study does not consider the desert solar energy development. North Africa populated coastal zone and inland is the Sahara desert. North Africa solar base consists mainly of Western base, Central bases East and Al-Qaeda, three solar-powered base. Solar power base is located in the Arabian Peninsula East, along the Persian Gulf, including Saudi Arabia a small area in the East, U.A.E. and Oman East, mainly to coastal plains and desert areas, sufficient water resources. Solar-powered base is located in Peru and southern Chile North Pacific Coast narrow areas, taking into account the Andes, the city, the impact of mining areas, limited actual development area. Solar-powered base located near Darwin in the Northern Prairie region, is rich in water resources, the terrain is relatively flat. Solar, based in Mexico, Chihuahua and the United States, and Mexico border Highlands, intensity of solar radiation is North America’s largest region, tremendous potential for development. 4. what future, solar power, where you can enjoy the Equator? Answer: Europe, Asia, South America, Africa, Oceania and so on, were able to enjoy the Equatorial solar cleaning power. Based on the pattern of global renewable energy development and utilization research, North Africa solar solar base, Western Asia solar energy base, South America base and Australia solar base priority power delivered to the land, to minimize the distance across the sea and the overall transmission distance, guaranteed transmission technology economy. North Africa solar base power will main sent European, and through Asia West area and Asia Networking; South America solar base main to East of Brazil load Center area transmission; Asia West solar base while to population many of South Asia transmission, while and North area connected, became connection Asia, and European, and Africa of important hub; Australia solar base will through series Pacific island chain, to population many, and resources lack of Southeast Asia area transmission. By the above construction of transmission channels, can not only solve solar power delivery problems in the equatorial region, and can realize the related continents in the northern hemisphere and South power grid interconnection, using the time difference and the difference Gets the networking benefits of the season. In addition, through the solar base can also build in Western Asia South corridor linking Eurasian power. 5. question: development of solar energy resource in the equatorial region which bonus will be released? A: development of solar energy resource in the equatorial region, not only is the best promotion of sustainable social development and solve environmental problems, and drive the growth of the world economy and promote regional peace, powerful starting point for achieving global prosperity. Development of solar energy in the equatorial region, will contribute to energy and sustainable development of human society. On one hand, to meet the power demand of the local economic and social development, promoting local economic development. In addition, the power of mass, distance to the major load centers around the world, driving regional economic development with resource development, on the realization of economic, social and energy environment of harmonious development, COP21 global carbon emission control targets set by the General Assembly is of great significance. 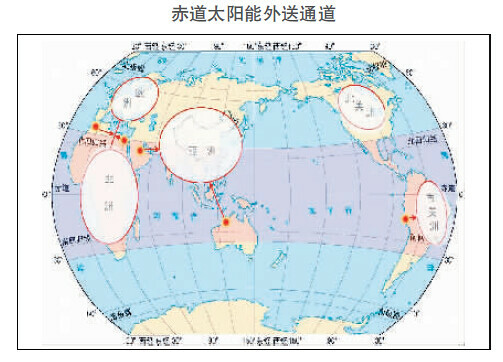 The equatorial regions except Australia in addition to other countries are developing countries, regional economy will continue to develop rapidly in the future, will face rigid power consumption growth stage. The power structure dominated by fossil fuels in developing countries and regions, and most are in tight supply problems, Africa, about 600 million people without electricity. In the context of global efforts to combat climate change and development, vigorously develop renewable resources such as solar, seize the development opportunity, is not only a resource for economic growth, narrow the gap between the North and the important strategic opportunity and realize common prosperity in the world and protect the local power supply to achieve “renewable energy for all” important measures to achieve global objectives on climate change an important choice. The Equator on solar power, can be expected. The Equator on solar power, is based on the theoretical research and practice of strategic thinking. At present, on the base of solar energy development in the equatorial region, has been a lot of study and basic, such as North Africa desert solar project, the trans-Asian energy infrastructure concepts, power interconnection systems in the Andean countries. Meanwhile, developed the Equatorial solar plants, and power transmission to the load centers with better economic competitiveness. Also, load centers dominated by terrestrial channel to the northern hemisphere in the equatorial region, existing ± 1100 economic range of UHV DC transmission technology, technical no obstacles. Develop the Equatorial solar not just a thing of a nation, in the face of North Africa, the Middle East complex of geo-politics and international relations, we also need to address the technical and economic issues at the same time, establishing mechanisms for cooperation and win-win development, promote regional States in the development of renewable energy and promoting regional economic development, achieving the global targets for cooperation. Original title: Equatorial solar power transmission to the world really possible? As a follow-up to the CPC Central Committee and the State Council on further deepening the reform of electric power several opinions (9) and related documents, in accordance with the renewable energy Act, we have developed the full regulation on guaranteeing the purchasing renewable power generation, is issued to you, please follow the implementation. First to implement the CPC Central Committee and the State Council on further deepening the reform of electric power several opinions ((2015), 9th) and related supporting documentation requirements, strengthening the management of fully guaranteeing the purchasing renewable power generation, guarantee the realization of non-fossil energy consumption goals, promoting the revolution in energy production and consumption, in accordance with the People’s Republic of China renewable energy law and other laws and regulations, these measures are formulated. Second approach applies to wind power, solar power, biomass energy, geothermal energy, ocean energy power generation and other non-renewable water. Hydroelectric power reference. Article renewable energy affordable purchase refers to power grid enterprises in full (including electric power dispatching Agency) determined in accordance with national Internet benchmark prices and guaranteed purchase utilization hours, combined with the market competition mechanism, by giving priority to power generation system, on the premise of ensuring supply security, full purchase within kWh of renewable energy power generation projects. Hydro-electric power according to the benchmark price for certain Internet (or approved power station price) and average utilization hours of design, through the implementation of long-term power purchasing and selling agreements, plans and priorities annual power generation involved in the spot-market transactions and other forms, giving priority to guaranteeing the purchasing power system and in full. According to the characteristics of hydropower, optimization system to promote new energy to dissolve and run hydropower peaking units and large units have top priority. Article fourth and other subjects of power grid enterprises (hereinafter referred to as grid enterprises) within range of its power grid, in accordance with the renewable energy development and utilization planning and construction, in accordance with an administrative license, or submit the filing, in line with technical standards for grid-connected renewable energy projects in full implementation responsibility for guaranteeing the purchasing. Fifth grid-connected renewable energy projects annual electricity output divided into guaranteeing the purchasing power and market power part. Among them, guaranteed purchase electricity through priority annual power generation plan, priority power contract with the grid (physical contracts or contracts for difference) for the protection of new benchmark by its purchase price in full market power from renewable energy generation enterprises through access to power the contract to participate in market competition, power enterprise in accordance with the principle of dispatching electricity contracts. Sixth article State Energy competent sector with economic run competent sector on can renewable energy power by limited area, according to grid conveying and system elimination na capacity, according to various benchmark electric price cover regional, reference allowed cost added reasonable returns, approved various can renewable energy grid power project supportability acquisition years using hours number and be announced, and according to industry development situation and can renewable energy installed production situation on regions various can renewable energy power supportability acquisition years using hours number timely for adjustment. Local authorities are responsible for the concrete implementation of the number of hours in the work, grid-connected renewable energy project in accordance with the number of hours and capacity to identify affordable acquisition the Internet power. Seventh article does not limit the area of renewable energy generation, power companies should be based on resource protection grid-connected renewable energy projects, wind power generation full purchase. Eighth, biomass energy, geothermal energy, ocean energy power generation and distributed PV power generation projects currently does not participate in market competition, electricity from the power grid enterprises ‘ full purchase; all kinds of concession projects, demonstration project by the concession agreement or technical programmes explicitly guaranteeing the purchasing of annual utilization hours determined by hours. Nineth article supportability acquisition power range within, by non-system security factors effect, non-can renewable energy power crowding out elimination na space and transmission channel led to of can renewable energy grid power project limited electricity considered priority power contract transfer to system within priority level lower of other unit, by corresponding unit by effect size bear on can renewable energy grid power project of compensation costs, and do and can renewable energy adjustable peak unit priority power of convergence. 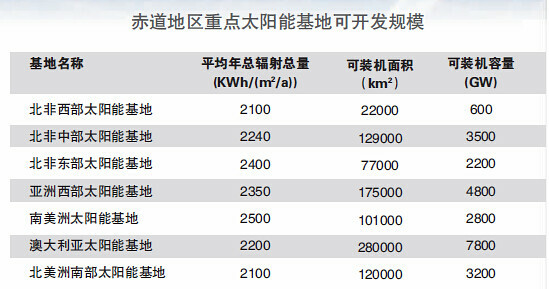 Included in the compensation limit capacity maximum of guaranteeing the purchasing power and renewable energy difference of the actual capacity. Guaranteeing the purchasing power within the priority of renewable power generation contracts shall not take the initiative through the transfer of market transactions. For grid-connected line (beyond design standard except for the faults caused by force majeure such as natural disasters), non-grid-connected renewable energy projects resulting from planned maintenance limited generating capacity consists of grid enterprises to cover. Actual generating capacity was not due to renewable energy resources to ensure capacity and due to its own fault, maintenance and other causes of loss of grid-connected renewable energy projects, wind power generation by renewable power projects to undertake, without compensation. Renewable energy due to their own reasons, resulting in discharge of electricity market competition should be used by all types of units bidding implementation. Grid-connected renewable energy projects guaranteeing the purchasing of electricity rationing in the context of compensation costs by project location corresponds to the latest renewable energy Internet benchmarking pricing or approved pricing implementation. Tenth power grid enterprises to assist electricity trader (trader by the network enterprise is not set up for) is responsible for power systems operation under restricted period, reference take in scheduling priority from low to high order compensation for grid-connected renewable energy projects limited generating capacity range of units (power plant), and based on the actual output size compensation cost-sharing. Guaranteeing the purchasing power within the limited capacity and compensation cost-shared monthly statistics submitted to the State Council Energy Department Agency and provincial economic departments, limiting electricity compensation apportionment can be adjusted according to the actual power of the monthly rolling and settlement-related costs on an annual basis. 11th to encourage participation of renewable electricity generation beyond guaranteeing the purchasing power of various forms of electric power market transaction, give full play to advantages of renewable power is low marginal costs, priority by means of market competition power, the promotion of renewable electricity. Areas of the electricity spot market trading mechanism has been established to encourage renewable energy generation in the spot market and long-term power contracts, giving priority to power generation contract gradually at spot trading and related market rules a market-oriented approach to participation in marketing renewable electricity subsidies in accordance with local standards to enjoy renewable energy price subsidies. 12th the Energy Department in accordance with the national plan for renewable energy, determined during the planning period should reach the renewable electricity generation accounted for the proportion of electricity generation. Provincial energy departments Department of economic operation guide grid enterprises to develop the implementation measures of the proportion of renewable electricity target, and in annual power generation scheduling and dispatching operation mode of implementation. 13th provincial economic departments in the development of power generation programme, strictly implement the priority for renewable power generation system grid-connected renewable energy projects guaranteeing the purchasing power through the full and strict implementation of priority power generation be safeguarded. Power generation plan to set aside the year planned production grid-connected renewable energy projects of space power plan, annual new production projects within the construction scale determined according to the proportion of production accounted for guaranteeing the purchasing annual utilization in hours. 14th power grid enterprises in accordance with the method and grid-connected renewable energy enterprises in the last quarter of each year of the project signed priority for renewable power generation contracts. 15th power grid enterprises in accordance with the principle of energy-saving and low-carbon electric power dispatching, according to departments concerned rules of the market, to give priority to renewable energy planning and renewable electricity trading contracts, protection of wind energy, solar energy, biomass energy and other renewable generation enjoys the highest priority dispatching level, renewable energy projects shall not be required to give priority to lower-cost way of achieving priority power generation on the power generation project. Power companies should be together with the renewable energy power generation enterprises in renewable power prediction based on power plans and contract months, weeks, days, hours, and other times, giving priority to renewable energy. 16th power grid enterprises should establish a perfect high proportion of renewable energy grid-connected operation mechanism, fully tapping the potential of system peak, organization of scientific unit, adjust the spinning reserve capacity, gradually changed the way balanced, according to province, scheduling, broadening the scope scheduling balance. Provincial (district, municipal) departments and enterprises should actively cooperate with the provincial power grid, promote renewable energy sources across the province, trans-regional trade, a wider range of renewable power to dissolve. 17th wind power, solar power and other renewable energy power generation enterprises shall cooperate in enhancing power grid enterprises forecast and raise the level of short-term and long-term forecasting, according to the relevant provisions or trade organizations to forecast results to grid enterprises, Enterprise determined by power grid renewable energy prediction curve, ensure that guaranteeing the purchasing power down, and enhancing market power multiple part full. Renewable energy power plants cost-sharing shall be governed by the relevant provisions involved in ancillary services. 18th establish mutual demand side response mechanisms, forming user support services shared shared mechanisms. Encouraged by means of price guide power users to optimize load characteristics, load peak load shifting. Users are encouraged to participate in the peak FM and other auxiliary services, improve the flexibility of the system and the absorptive capacity of renewable. 19th the State Council Energy Department and agencies carry out full regulatory responsibility for guaranteeing the purchasing renewable power generation. 20th Agency of the State Council Energy Department, in conjunction with the provincial Department of economic operation, according to the measures, combined with local conditions, formulate rules for its implementation, submitted to the national development and Reform Commission, the National Energy Council before implementation. 21st Agency of the State Council Energy Department, in conjunction with provincial energy departments and departments in charge of economic operation in power grid enterprises with priority power grid-connected renewable energy projects and Enterprise contract and supervise the implementation. 22nd grid-connected renewable energy projects limited generating capacity by grid companies and renewable energy power generation enterprises to assist the power trade institutions carried out according to relevant regulations of the State statistics. For grid-connected renewable energy projects limited generating capacity and compensation of cost-sharing disputes may be made by the local Office of the State Council Energy Department, in conjunction with provincial economic operation Department coordination. 23rd for limited renewable energy generation, power companies should analyze the reasons, and to keep the relevant running information for regulators to check. By the local Office of the State Council Energy Department and announced to the public on a regular basis. Article 24th of this approach by the national development and Reform Commission, the National Energy Board is responsible for the interpretation and, according to the electric power system reform and construction of the electric power market timely amendments. 25th article this way as of the date of promulgation. After Iwata, Nintendo has a new President. Against all expectation, however, is, he is not what we expected Tian Xuanyang Shigeru Miyamoto or bamboo, but previously little known jundao. So, who is jundao up to the end, Nintendo why put this burden on him? Jundao is not loved by the majority of players like Shigeru Miyamoto, so information about him can be said to be relatively small. According to his curriculum vitae, jundao up to the early years has served in Sanwa Bank, and Shinbashi branch General Manager. In 2000, the Pokemon company jundao on behalf of the Board, became the head of Nintendo of America. For Pokemon Wii in United States popular, jundao is a great contribution. From jundao up to resume, we can easily see Nintendo take into account, that is seeking a broader vision of people to lead the company for the world, out of the Woods. Especially in this company’s work by mobile games challenge needed transformation and open mobile platform market case, more is need to jundao up to this materialistic man. Jundao up to the early years in the financial industry, and in turn the Nintendo credited fiscal crisis this matter, who took office at the end of some emergency. As to the highest and most popular with players of Shigeru Miyamoto, now appears to have been undermined. To many people’s surprise, but also reasonable. Facing the ailing, the Board is not optimistic about the home of their dreams. In fact for Iwata and Miyamoto, a concept, many people had begun to be dissatisfied with. This appointment was unexpected by many players, people’s perception of nature is split into two parts. Agreed with that of a pragmatic President could help Nintendo out, global strategy may also make the infamous locked policy disappears, maybe game culture is not just a dream; opponents worry jundao is likely to blindly spend in order to benefit the company’s brand value and ultimately Nintendo eventually lose their color, not conducive to long-term development. Jundao has served as President of Nintendo is bound to be a controversial appointment, but no matter how the debate both sides argued, cannot deny that Nintendo does much-needed reforms at the moment, this is, after all, Iwata finally realized that thing on his deathbed. This is Nintendo’s key moment of transition, codenamed “NX” a new host is in the making, and the efforts of the company to the mobile phone market has begun. New President would make the players hope the feelings of countless companies to where? Only left to give us an answer. Koss MV1 is Gaussian 09 launch flagship headset. Titanium metal is used, light and strong, but 470g’s weight is a bit exaggerated. DJ, enthusiasts and broadcast audio design, all take a listen line. And 250 Ohm impedance may out of the street is not very good. In General has long been a launch of flagship large impedance headphones. Koss MV1 a record low price of $ 59.99, about 365 Yuan, cost about 480 Yuan. HTC One (M8) is Taiwan mobile phone company HTC 2014 development of next-generation smartphones, belonging to the HTC advanced flagship models in One series, on March 25, 2014 by HTC Chairman Cher Wang and Peter Chou, Chief Executive of London and United States synchronized New York published. 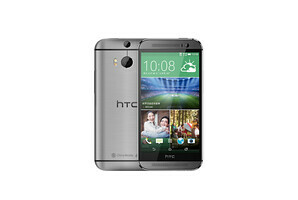 Powered by Android 4.4.2 operating system, HTC Sense6 user interface. Duo twin lens cameras provides photo back focus function. Polaris solar PV net news: to promote accurate, precise poverty eradication for poverty alleviation to steadily increase the poor household income, let the poor become rich as soon as possible as soon as possible, on March 24, dingnan in dingnan County enacted the 2016 PV poverty alleviation programme (draft). According to implementation programme, 2016, dingnan will strive to support 1000 households has installation conditions of built document state card poor construction a seat 3KW of PV power station, encourages support the town in new rural construction points, and Adobe room transformation concentrated construction points, and immigration relocation concentrated placed points within construction installation 20 households above 3KW~5KW of PV power station poverty model points, strive to put Dragon Tang village, and lishi banana pit and days nine gold Bay playing caused County PV poverty model points. Also supports conditional poor village alone or build a village of no more than 60KW/photovoltaic power station. On funds grants problem, programme clear, on meet installation conditions installation 3KW PV power station of built document state card poor, Government will by each households 6000 Yuan of standard for support, but enjoy has PV poverty policy of, cannot while enjoy industry support policy (except Camellia industry outside), other construction funds by poor through raised or application loan, way to solution; on by approved established of model points Shang meet installation PV power station conditions of non-poor, Government also will by each households 6000 Yuan of standard for support, Other construction funds by the installation through self-financing or apply for a loan to solve 60KW poor villages, photovoltaic power stations, equipment installation from municipal and county levels every village industry helping 1 million yuan of funds raised in the address. On the poverty problem of inadequate installation of the object, the programme explicitly, dingnan County by the County Government to establish solar loan guarantee fund for poverty alleviation, cooperative banks in a 1:8 scale up lending to solve. Installed household lending in principle not exceed after deduction of financial subsidy for installing the total investment amount. Loan contract for a period of 3-5 years after the expiry of the contract, renewable credit two cycles (loan period amounted to 15 years). Top 5 years just to pay interest on loans, 6th year on serial card, pay off the principal and interest to the 15th year. Polaris solar PV net news: humans to really go into the future, infrastructure needs to move forward obviously, highway is an important part of it. Now, there are already countries and regions began experimenting with new energy technologies into the road, make the roads more intelligent, user-friendly, creating more energy for human values. Korea tianheshizong between two major cities, solar highway has a length of about 32 km. This Highway will be set next to the bike lane, and set a large number of solar panels, in addition to riding enthusiasts from Sun and rain, also can collect solar energy to power around traffic lights, surveillance cameras and even communities. Italy plans in its southern part to repair an abandoned viaduct again, joined the new wind power generation systems, including solar panels, wind turbines, can produce up to 40 million-kilowatt kWh of electricity per year. Of course, this design for designers is full of challenges, you need to consider the stability of the bridge at the same time, adding power generation systems. 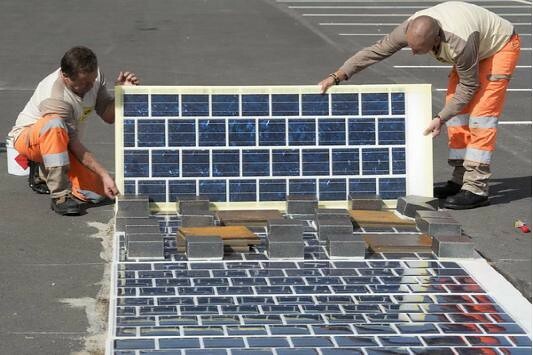 Is very dangerous to drive in the snow, United States Idaho has developed a new type of photovoltaic tiles can be used in roads, car parks, it has a built-in heating elements, and powered by solar energy, the surface of the hole design can even absorb the rain. 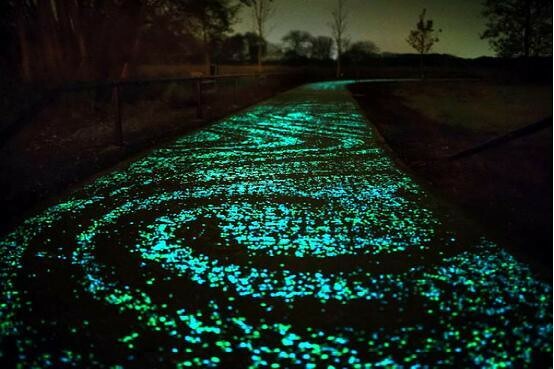 Netherlands North Brabant, Studio Roosegaarde has created a “sky road”, this is a solar-powered LED and concentrated paint bike lanes, so that people can safely ride at night, but also the perfect combination of technology and art. Earlier this year, France announced that will be built in China with a total length of 966 km solar Street, across the country, for France 8% citizens (about 5 million people) to provide energy. The solar panels of the project using a high strength, very strong, and you can copy and paste on the road, is very convenient for installation and maintenance. 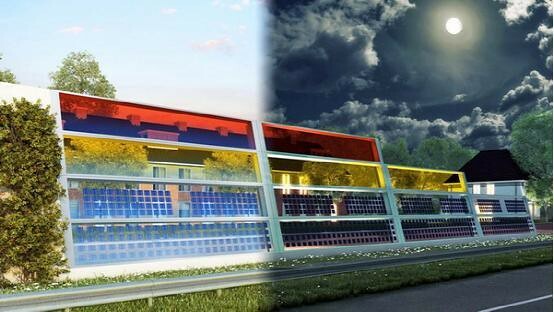 If your home is just beside the road, are inevitably affected by noise, Netherlands researchers have developed a new technology that can collect solar energy technology into noise barriers, it is two birds with one stone. The solar noise barrier ((SONOB) not only practical design with a sense of art, can be said to be the road considerably. Micro signal to public accounts com “wisdom teeth”. In this article the author made 315 view CCTV Gala to Apple last spring, CCTV itself and is not a conflict of interest, but the Cook tried to push Apple to have close relations with China. The most controversial point is the question author: 315 evening exposure after Apple, will likely mean cheaper version of the iPhone was aborted and, ultimately, the other in China negotiations settled as soon as possible. 315 evening exposure Apple yesterday after sale problems led to an uproar, and deeply attached to Twitter “about 8:20″, this has become a new popular phrases. There is no doubt that everyone knew the CCTV blaming Apple is intentional. But why should this be? For Apple, “for 315 on the money they can make you” does not seem to be the problem. Apple to do the whole subject of media in China have no current ads are cooperative marketing agencies and operators invested – operator was television customers. So advertising is not the problem with Apple, then Apple’s what is the problem? I said I knew the story, but 100% is not guaranteed to be true and well documented, the story dating back to Apple CEO Tim Cook in two visits to China in the past year. More like a retreat for the first time, in addition to visiting Apple on each of the vendors, and most importantly, is meeting with top government officials. Alleged that Cook had met with leaders at the highest level. No one that which an exchange of views on both sides. But then Apple’s move in China worth pondering. First of all, Apple started out media publish a large number of China-related news, which caused excitement of Chinese science and technology blog, then passed to more conventional public opinion of media and media authority within the system. Then, users found the path to overseas after the App Store’s bandwidth has increased–and of course seems to oscillate. But overall, now from the App Store updates faster than a year ago. Is associated with it, and every now and then some “rumors” server that made the Apple App Store in China. Apple’s activities in China’s demand and China’s demand for Apple is not an exact match. Cook for their own purposes, you need to make concessions. Cook’s purpose and cannot be determined, speculated that there may be set up a full subject of legal entities in China, full operation in China’s research and development, manufacturing, marketing, sales, and marketing. At present, Apple is still in China by authorizing powers to run. A settlement Center in China, to the Chinese Government and directly addressing a certain number of jobs. Set up research and development centers in China, China technology, training technical personnel. Cooperation with the Chinese operators, particularly the support and promotion of China Mobile’s TD-series network communications standard. China to set up the server and accept the regulator’s control. Cooperation with China Mobile on iPhone, Cook was in fact intentional. According to anecdotal information from China Mobile, the next-generation iPhone will support the TD-SCDMA standard and TDD-LTE, run by China Mobile this version of iPhone sales and the Internet. Subsidies will be less than China Mobile to give Apple Unicom operate iPhone subsidies. China Mobile did not hope to experience losses about a year like China Unicom began to take iPhone relaunched. In view of the size and attributes of the TD network users, China Mobile’s hope Apple can customize cheap, less than $ 200 iPhone, to move a large stable of 2G users. Technical details of Apple’s servers in China and Apple does not match the rule. This does not have to elaborate on this. Apple is not willing to pay the cost to implement the above three points, Apple’s worry is that if this precedent is set. Apple’s own product systems and operational rules would be China’s huge purchasing power is down. Apple will eventually lose the original, on the global industrial chain advantages of full control. Due to the needs and concerns on both sides of the Apple event in China is not in direct conflict, so it has been open to negotiation. From January to March, the details of the negotiations have been unknown. 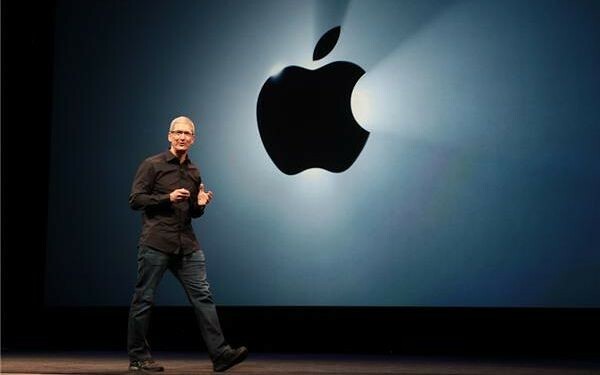 But it wasn’t until the end of February, the message “could not agree”, with 315 to Apple rumors. So the truth is likely to be two weeks ago, seeing the last bet before the cards, are maneuvering not 315, talk about failing, you’ll have to use it as a weapon. 315 against Apple, the interests behind the chain is too complex, and Apple’s competitors such as Samsung and is not relevant. , Including China Mobile and industrial system of the whole country, are small shows power to Apple. So no matter what, Apple is not immune to the past. Of course, as everyone expected, the company could not hide. 315 of the outgoing signal, cheaper iPhone at least, Apple is certainly did not take into account–this is the original Apple product and brand systems most proposals. Capitalists know hundreds of years ago poured milk into a river, not on sale, Apple is not so foolish as to that extent. While the rest of the negotiations may be completed soon. Server and clearing problems Apple has nothing to talk about. Rules for overseas science and technology enterprises in China, do not allow Apple to open a special case. If both parties are playing cards when signing is to shake hands. 315, but hand on the last card. In China it is imperative, but the bargaining process, needs 315 party draw to an end. 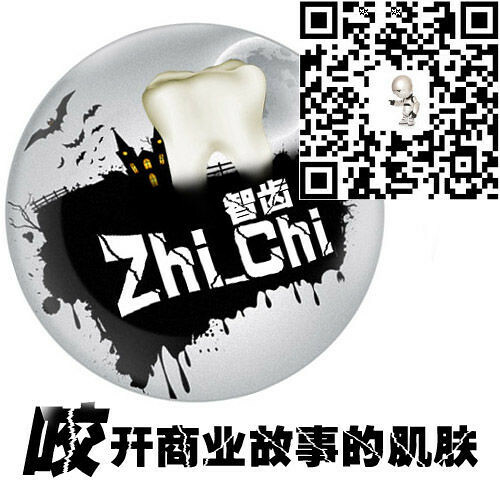 About wisdom teeth: micro-public accounts of wisdom teeth, you can search “zhi_chi” Add or scan the QR code below. Wisdom teeth are a focus on storytelling account, mainly to business stories. Difference between stories and news, episodes of ups and downs and the fate of the characters and sometimes the rational and objective neutrality is more important than the truth. But Apple Watch after a few days I feel, watch the benefits outweigh the disadvantages. Interaction on the watch is not only faster and less bother than phone to social, Apple Watch has another hidden benefit: it than phones are less likely to indulge in. In such a small screen, you can’t do anything, so I don’t have that feeling of being sucked and they get lost in electronic equipment. To me, that’s the biggest difference between Apple Watch and mobile phone. 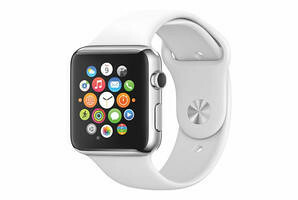 Until now, Apple Watch is pure business, aim is purely to improve productivity. For some users, this point may be worth hundreds of dollars in price. Polaris solar PV net news: on March 24, when attending the Boao Forum for Asia. BRIC development banks, Leslie-masiduopu, Deputy Governor, told reporters, in the 1.5 years since the establishment of the Bank at that point in time, brick Bank is working night and day for project approval, will be issued at the end of April this year the first batch of loans. In view of energy exports and energy demand of BRIC countries, BRICS Bank first projects will focus on energy–particularly clean energy and renewable energy projects. “Energy is the area of most concern at present, in addition to the requirements of sustainable development, a clean project also has a very good return on investment. “Masiduopu said. But by specific projects and projects of regional, masiduopu does not want to reveal. BRIC development banks, founded on July 16, 2014, start-up capital of us $ 50 billion, headquartered in Shanghai. The establishment of the Development Bank has been seen as the BRIC countries is cooperation from the BRIC countries to retreat and pragmatic signs. Again heavy sharp comment on Hon Hai have the opportunity to adjust the conditions? Polaris solar PV net news: Hon Hai to buy sharp waves again! On Tuesday, the rumours of Hon Hai to significant reduction in the purchase price, resulting in Japan sharp shares 6.5%. Taiwan’s Hon Hai plans to buy sharp, plunged into greater uncertainty. Ultimately whether successful, parties have to wait. Hon Hai to buy sharp is always the focus of attention in the industry, the end of February, Hung posters of the purchase price at about $ 6 billion, this offer will rival Japan Industrial Innovation Agency excluded. However, Hon Hai in the course of consultations with the sharp, a document shows that sharp has a potential 300 billion yen debt, including the reorganization and layoff costs. If there is a lawsuit, layoffs, the debt will become a real conventional debt, which will have enormous financial risk for Hon Hai. When Gao Qiaoxing three appeared in Hon Hai’s headquarters in Tucheng, President of sharp, hope to sign soon OK, Hon Hai will need to review the sharp earnings performance this season on the grounds, said it would delay signing. According to foreign media reports, sharp more financial data provided to the Hon Hai group, showed that in the first quarter of this year, sharp’s performance was not originally anticipated profits, but more losses. However, Hon Hai group is based on sharp’s earnings forecasts and reported the own purchase price. Accordingly, Hon Hai plans to reduce the sharp price. News that Hon Hai is currently and sharp and sharp’s two main banks negotiate on price, Hon Hai group is likely to be sharp before the capital injection from the 489 billion yen down to 389 billion yen and cut 100 billion yen us $ 898 million. News that, for white sharp advance payment deposit of 100 billion yen, Hon Hai has requirements in half, and deposit a third party, limit use. All the signs indicate that Hon Hai for Sharpe’s situation more and more worried, more research needs to be done. Series of circumstances led to Tuesday’s sharp share price plunge, which was confusing “hung-summer love” and covered with a layer of fog. In 2012, presumably had a bitter relationship with the sharp. Hon Hai has funded nearly 10% to the latter with the sharp capital reached business cooperation agreement, the result does not implement the funded. Under the influence of sharp’s share price fell sharply, both sides lowered the purchase price for these consultations, but did not reach an agreement. In 2016, the cooperation between them will repeat it? Analysis of the industry, the acquisition plan is unlikely to fail. While Hon Hai group to compete for United States orders from Apple, urgent need for access to sharp’s LCD Panel assets, so that the future can be based on liquid crystal technology to OLED Panel areas. Current issues sharp just to increase its bargaining chips to push down prices. On the other hand, Japan Government, past Japan for foreign trade environment is not friendly, now hopes that sharp trade to turn the outside view. In addition, sharp the situation is very serious, high-level said “we have no negotiations” with large debts from sharp relies on Hon Hai’s support. Polaris solar PV net news: March 21 at 8 o’clock in the evening, National Director of light and heat were organized by the Secretariat of the League on behalf of Conference calls, according to solar thermal power generation demonstration projects focused on progress made in the communication. Invited the members of the Conference, as well as industry technical support units–and hydropower planning and Design Institute of water resources (hereinafter referred to as water and electricity Institute) jumped interpret Vice President of spring. Includes planning, designing Institute, a total of 52 member federations governing representatives participated in the meeting. Dean first light and heat in recent years Union and related research institutes, enterprises and institutions in the development of the solar thermal power industry in the common efforts made by recognized and for solar thermal power from the model to the industrialization of scientific research have laid a solid foundation. Easy Dean introduced said, from 2015 began, in national energy Council led Xia, hydropower total hospital led organization light hot Union, and electric rules total hospital, related units, from developed project early declared conditions, and assessment principles, to local government and the enterprises of organization declared, again to last of project review, are full reflected has national of attention, and place of support, and solar hot power development and the equipment manufacturing enterprise of active participation. First model project total more than more than 100 total about 10GW. From November 10, 2015 to November 14, in Energy Council of led Xia, hydropower total hospital with national light hot Union, and electric rules total hospital, related units Organization experts, on these project of early work progress situation, and construction conditions, and all development enterprise of strength and by declared of technology type and mature degrees, for has full of combs, by integrated appraisals selection Hou, related results reported national energy Council. National Energy Board attaches great importance to demonstration projects, organize hydropower Institute, solar-thermal Union, the TV Academy conducted a number of studies. Taking into account the current maturity of solar thermal industry needs to be further improved, the scale of individual projects for a reasonable arrangement, eventually tease out nearly 1 million-kilowatt per cent of projects as a preliminary demonstration projects. At this point, the first demonstration power plant projects on solar thermal power in the final decision-making stage. “Addition, to can makes project real of implementation good, National Energy Council according to assessment results, on all place of resources conditions, construction cost and power situation for has research, on all area of Internet electric price for has seriously of analysis and measuring, then with national NDRC price Division for has times of communication, and consultations, hope developed out a social bear capacity can accept, and meet industry development early better anti-risk of Internet electric price. Once the price announced, issued under the National Energy Board will evaluate the results of demonstration projects preliminary list and the corresponding construction management requirements. Related enterprises to implement the boundary conditions of the primary project, and actively implement the corresponding building programmes as and when required. In addition, project financing, equipment procurement, the implementation of development and construction, etc. “The President said. However, even if the file release, may also be a primary project document, finalized the list depends on the implementation of the project and the progress in construction and development. At building demonstration program at the same time, the National Energy Board will review these projects build experience and existing problems in order to continuously improve in the future, towards building demonstration projects, while the smooth advance of the solar thermal power industry. Model project price range, introduction of the approximate time and other issues of common concern, Director representative Dean into the inquiry. Dean said that in terms of price, from the scope of this report, most are between 1.1 Yuan per kWh to 1.3 Yuan per kWh, is relatively concentrated around 1.2 Yuan per kWh. Light hot power for grid of friendly and energy transformation of advantage everyone are is clear, but consider to industry early risk larger, cost relative compared high, addition national in can renewable energy aspects development compared fast, can renewable energy electric price subsidies needs gap compared big; in this situation Xia, determine a how of electric price, to both can guarantee industry health of development, while and can improve competitive, social can bear, for future further expanded light hot scale up to a is good of guide role, need and manpower research determine. Formulation of the final price, national development and Reform Commission and the National Energy Board will be combined with the previous pilot projects and the actual circumstances of this claim to the development of electricity price. Specific, technical services unit after the indicator calculation and analysis, relevant State departments to finalize. On time, and the NDRC price Department of the Department of energy’s new Energy Division is working to develop, as soon as possible the results. China built maximum 10MW of solar-thermal power generation industry, most still in the experimental model and the introduction of the digestion phase. Exactly what cost, can meet the design requirements as soon as possible after construction is complete, debug period is how long we all take practice to verify. If we can get the first demonstration projects, and acts as a true role model for advancing the development of the solar thermal power industry, the State will be more conducive to the development of policies and measures to promote solar thermal large-scale, commercial development, we will also bring more opportunities. For solar thermal Federation should do next, and also from its own recommendations to the experience, he said: solar thermal Union should focus on improving confidence in the entire sector. Industrial chain link from the perspective of their own to promote industrial development, and product manufacturers to product quality and performance, improve system efficiency; development of enterprises in development and construction cost control, construction quality assurance, management improved; research units, design units and research institutes to do public service capacity building. Do not avoid problems within the industry, Union and common efforts, the analysis of emerging issues, research, solve, avoid repeating mistakes in later projects, and continue to raise the level. Demonstration project is a model of development companies and equipment manufacturing enterprises, national and industrial demonstration, give good lessons well, industrial development is down to focus on work. In addition, besides the demonstration project to build out, but also for the next standard, policy formulation, experimental demonstration bases, provide convenient public service platform construction, lay a good foundation. For the implementation of the new energy industry development planning and policy, Shenzhen City development and Reform Commission decided to organize the implementation of special funds in 2016, the second batch of new energy industry development support program, key support areas include smart grid, solar, nuclear and 8 fields. March 2016 9 10th, Zhejiang Province, Department of energy, Department of finance organized by Zhejiang Province in 2016 competitive allocation of special funds for renewable energy development will be assessed. Review panel evaluation index system in accordance with the declared rated sort items, and review by the Provincial Bureau of energy, Ministry of finance, determine the list of special funds intended to grant, and in March 2016 23-27th publicity. Enterprise reporting in each County (City) District Council, each Committee will in the first instance by Ningbo comprehensive reviews of the information Commission and the Municipal Finance Bureau and the Organization of expert, to be assessed 18 projects (including the first 4 projects that have been assessed)-Ningbo solar power subsidies, will now list public. Was delisted several times in the series “yellow card” warning, CEEG (Nanjing) PV company recently in the US stock market was “catastrophe”-ordered delisting from NASDAQ. Analysts told reporters, faced delisting risk largely because of the performance of PV continuing losses, strategic mistakes of enterprises on the one hand, once wanted to do a perfect industrial chain company, rarely yield results after the investment of a billion of Yuan, coupled with corporate debt burden is too heavy, and there is a continuing risk, not investors. Pingdingshan coal shenma Group’s flagship platform of coal in pingdingshan coal shares, joint venture with China’s largest silicon producer longi shares up PV industry. Company announcements, coal shares and the latter’s wholly-owned subsidiary of leaf v platform for joint venture in baofeng County, pingdingshan city, to be built with an annual output 2GW project high efficiency monocrystalline silicon cells. The evening of March 23, Baoan real estate said in a statement, shares in private companies apply for Porc approved unconditionally by the SFC. The application goes back to October 26, 2015, when Bao ‘ an estate published in private plans, to be major shareholders of the acquired company Dong Xu Dong Xu new energy group’s assets, and raise investment in building capacity for photovoltaic projects in 1150WM. Hon Hai to buy sharp waves again! On Tuesday, the rumours of Hon Hai to significant reduction in the purchase price, resulting in Japan sharp shares 6.5%. Taiwan’s Hon Hai plans to buy sharp, plunged into greater uncertainty. Ultimately whether successful, parties have to wait. The evening of March 21, hareon announcements released prior to adjusting the programme of non-public offering of shares. Adjusted total fundraising and issuing price unchanged, raising funds to adjust for “80MW on-grid PV power station project in Erdos, Inner Mongolia.” Noteworthy is that an object to this time Riel de (Taicang) lighting Holdings shareholders for the Huai Yang, hareon former boss, increased again by returning after the outgoing Chairman, once again proved that the market on its retiring is to avoid regulatory red pave the way for introducing into the rumors. 2, when PV can be out of subsidies “swaddling clothes”? Judging from the present market situation, PV market to promote the success of the most critical question is whether subsidies timely issuance, if long outstanding issues are not addressed, whether subsidies are high or low, power plants don’t get the subsidies, which are words on paper, of any real significance. Why the development of the photovoltaic industry’s “infancy” stage without subsidies? At present, the global green asset securitization business is still in the exploratory stage, more mature business model is not that much. Solar roof PV stock as an example, after years of technological progress and cost reductions, photovoltaic power generation technology has been greatly improved stability and market competition. On March 21, the National Energy Board new energy and renewable energy Liang Zhipeng, Deputy Director attended the Nineth Asian solar energy Forum and deliver a keynote speech. He from China PV industry overview, in-depth analysis of the policy and prospect point, he noted that by 2020 China PV scale in the 450-600GW, by 2030 to reach 1000-1500GW, and by 2050 will not be able to imagine.